Family Day – Making Maple Syrup! 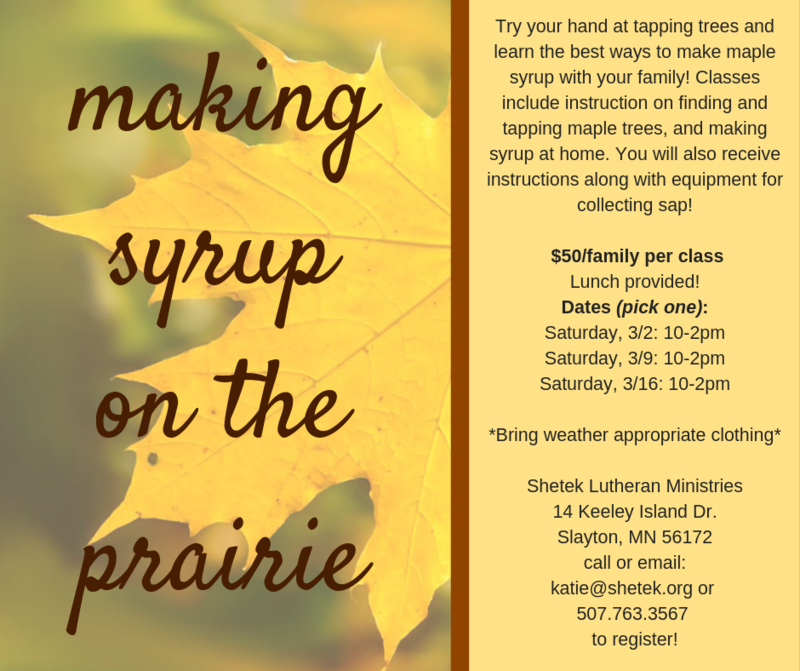 Come to our upcoming maple syruping classes to learn more about tapping trees and the process of making maple syrup! All ages are welcome and families encouraged! Our classes will be held Saturdays, March 2nd, 9th and 16th, 2019 from 10:00am-2:00pm (lunch is included!). Classes will include instructions and equipment for you to bring home. Just bring weather-appropriate clothing. Call or email Katie at 507.763.3567 & katie@shetek.org for more information. Fun in the Sun with Water Bugs!